***Latitude***CARFAX One-Owner***. Clean CARFAX***. 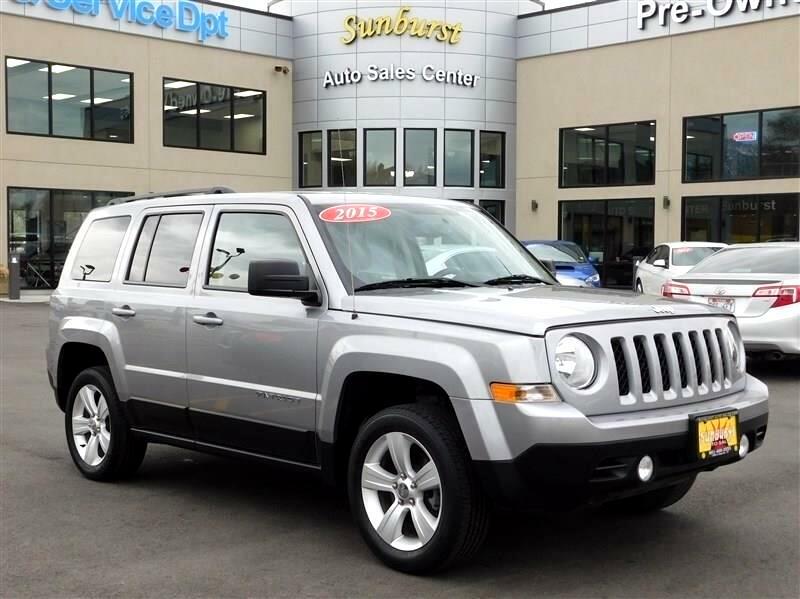 4WD, billet silver metallic clearcoat 2015 Jeep Patriot Latitude 4WD 6-Speed Automatic 2.4L I4 DOHC 16V Dual VVT DRIVE: 4WD TITLE: CLEAN ENGINE: 2.4L 4-CYL OPTIONS: Automatic, cloth interior, cruise control, alloy wheels, bluetooth connectivity, traction control, keyless entry, XM radio, fog lights, power options. Awards: * 2015 KBB.com 5-Year Cost to Own Awards Visit Sunburst Auto Sales Center online at sunburstautosales.com to see more pictures of this vehicle or call us at 801-466-3333 today to schedule your test drive. . Let Sunburst Auto Sales Center show you how easy it is to buy a quality used car in Salt Lake City. We believe fair prices, superior service, and treating customers right leads to satisfied repeat buyers.Our friendly and knowledgeable sales staff is here to help you find the car you deserve, priced to fit your budget. Shop our virtual showroom of pre-owned vehicles AT SUNBURSTAUTOSALES.COM, sedans, trucks and suvs then stop by for a test drive. Message: Thought you might be interested in this 2015 Jeep Patriot.